Decorating your cool, dark brown base with mushroom brown balayage highlights (and a slight hint of purple) is ideal for creating a bolder multi-dimensional look. The sharp transition from a darker brown shade to lighter is probably the most sophisticated hair color you can reward your locks with. 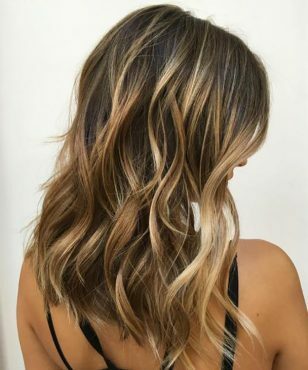 Does Balayage take longer than highlights? Does the balayage process take longer than foil highlights? It depends on a lot of factors—like if your hair has been dyed before, or how long your strands are. 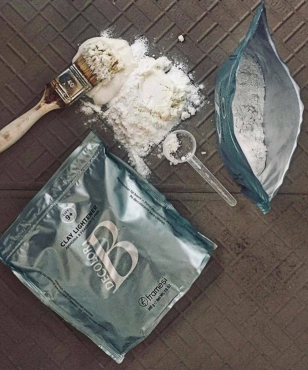 However, in general balayage does take a bit longer than foil because the stylist goes through piece by piece to customize the color. We all want baby-soft skin, but what about baby hair? Babies have gorgeous (and natural!) subtle highlights and that’s something we as adults crave. Well, experts have figured out a way for grownups to steal the look — and it’s become one of this season’s biggest trends. 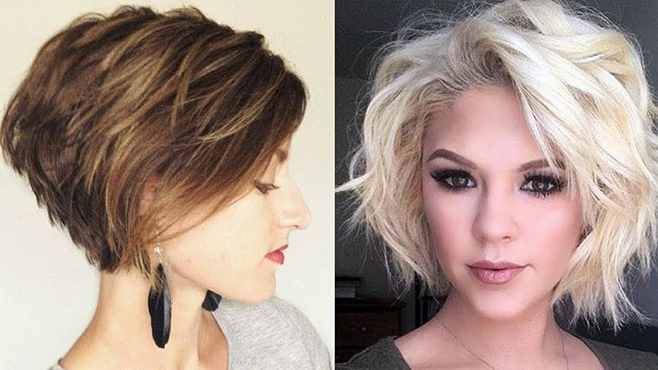 Seriously, this technique is like a real-life filter for your hair. … After the hair is highlighted and washed out, the colorist applies a toner or gloss to just the roots with a brush, effectively “smudging” or blurring where roots end and color begins. Think of them as the youngest sibling of babylights. They require about a third of the density, and are designed to mimic what Liz calls “ponytail blonde”—a brighter, natural hairline with hints of light in the interior courtesy of the sun. The best part? Zero horizontal grow out! A highly protective, formaldehyde-free straightening system that helps hair acquire new texture with a short processing time. It removes frizz, leaving hair sleek, smooth, and more manageable. Silis allows you to create texture by refining natural curl through relaxing, curl reduction and redirection of natural growth patterns. Silis has a lower pH than conventional relaxers, allowing you to create stunning effects while preserving the integrity of the hair. Effectively conditions and detangles, removes static electricity and increases manageability of the hair. Keeps hair straight while bonds are being broken, more control with less manipulation required. More pleasant experience for stylist and client. Forget the cat-eye flick, Tom Ford made a statement with this edgy ‘thumb print’ eyeliner look. Cool, huh? Blow dryers, curling irons, flat irons, and all the other high-heat hair tools we use to change our natural hair texture can cause damage. This can be especially true in the winter season, your hair is usually drier and more fragile. Whenever you can, air-dry your hair and avoid styling with hot tools. 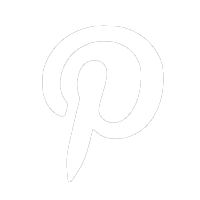 How many of you LOVE LOVE LOVE Pinterest? I know I do! Having images of EVERY hairstyle you can imagine right at your fingertips definitely makes a hairstylist’s job much more simple! When my guest tells me she is ready for a change I’ll be the first to say, “let’s look at some pictures,” then pull up my Pinterest account. But even the best tools have a downside. Anyone, and I mean anyone, can post to the Internet which means that not all of the information is 100% accurate. 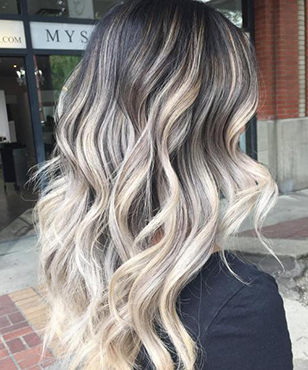 Balayage is a French word that means “sweeping”. Essentially what we do with balayage is free hand painting on the hair. We lightly sweep color onto the surface of carefully chosen sections. A master colorist is able to look at a haircut and see exactly where the color needs to live, and then color only that hair. 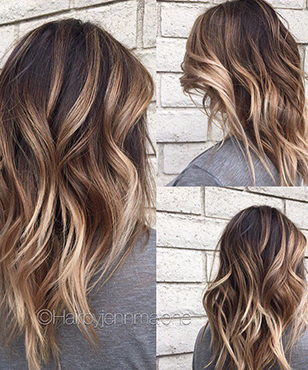 Balayage, when done correctly, creates a very soft transition from natural to colored hair. 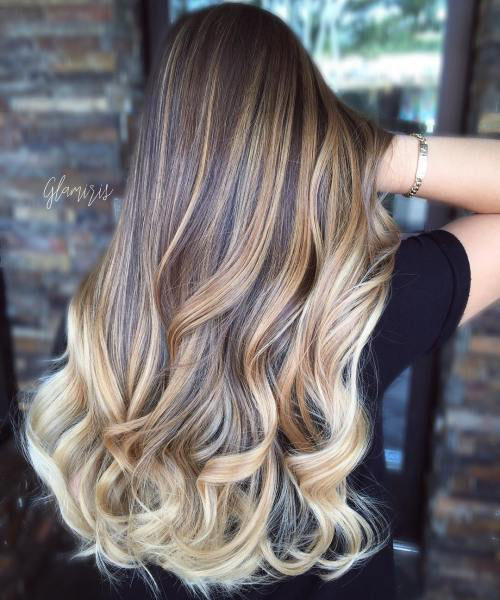 Typically, the Balayage technique leaves depth at the base and has tons of dimension. 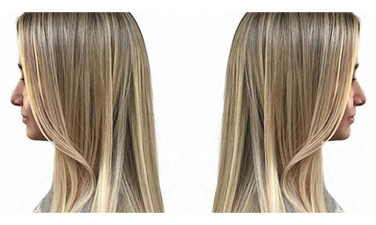 One misconception about Balayage is that it is synonymous with the term Ombre. This is not the case. 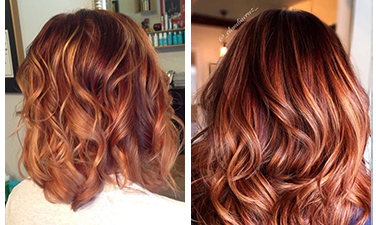 The Balayage technique is often used to create an Ombre, however, the Ombre is more descriptive of the finished style while Balayage describes how the Ombre was created. Balayage technique can be used for overall lightening of the hair similar to how we use foils for highlighting as well. 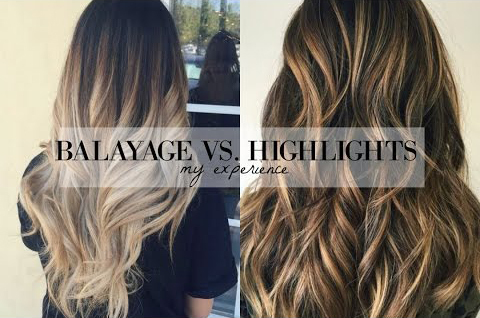 So what is the difference between Balayage and foil highlighting? Good question! While both techniques can be used to create dimension in the hair, there are many major differences between the two. For starters, with Balayage the color lives only on the surface of the hair, creating the illusion of depth without a starting or ending point. 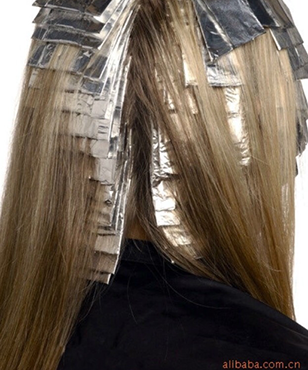 Foil highlights, on the other hand, live throughout the hair using multiple colors (high, low and mid-lights) to create dimension. When we put the the hair in foils, all of the color starts at the same point, right at the base, for a visible starting point. So which technique is best for you? 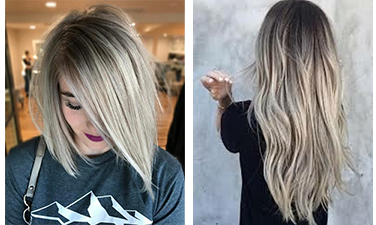 If you like a softer look with more depth you may consider Balayage, but If you want to be blonde throughout with maybe just a little dimension… foils are the way to go! Make your ponytail look fuller by using the hair clip trick. Pull your hair into a ponytail at the back of the crown of your head and secure it with a hair tie. Separate it into two sections (top and bottom), and with a small-to-medium sized claw hair clip, clip hair at the base of the ponytail, underneath the top section. Place the top section of hair over the clip and spray a bit of dry shampoo to get a fuller texture . Apply an olive oil mask. Heat a half cup olive oil (don’t boil it), and then liberally apply to your hair. Cover your hair with a plastic grocery bag, then wrap it in a towel. Let it set for 45 minutes, then shampoo and thoroughly rinse. The new makeup trend for 2017 is less is better. Some may argue but heavy liquid eyeliner is becoming a thing of the past. You will see more softer eye looks with just eye shadow and mascara. Some looks will be smudge light eye shadow at eye area. Brazilian Blowout Smoothing Serum then blowdry hair and style as usual. 1. Necessary trims. Keep you hair trim an inch to half inch every 6 to 8 weeks. 2. Use Professional home care products. The salon choice is Framesi home care products. 3. Protect from wool scarves and jackets. Wool causes breakage due to friction. 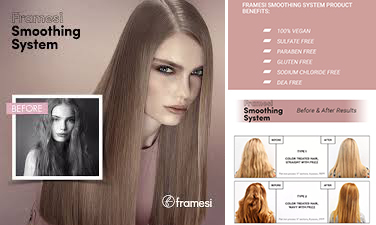 I recommend Framesi color lover 3 magic volume products. Color lover volume shampoo, color lover volume conditioner and phase 2 spray. 1. Before swimming…wet hair slightly and add Framesi color lover primer 11 leave in conditioner to Hair..comb with wide tooth comb to evenly distribute. This helps protect hair from turning green due to pool chlorine. 2. After swimming in the pool..Shampoo hair immediately with Framesi color lover moisture shampoo. 3. Do a weekly hair treatment with Framesi color lover hair masque. Copyright © 2019 Hair by Gayla. All rights reserved. Salon Web Design by StyleNet.